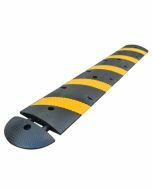 One of our best sellers the 2’ Modular Speed Hump is an excellent speed hump product that slows traffic to 10-15 mph and are ideal to be used in parks, school zones, hospitals, and retirement communities. 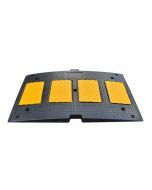 Excellent product to reduce vehicle traffic speed and increase safety, having a great feature of embedded yellow EPDM rubber for high visibility, the modular units lock together, creating a uniform surface fit any road size and width. It can be installed in asphalt or concrete grounds, it comes with 4 Mounting Holes (1-1/8″D Countersink, 1/2″D Mount Hole). 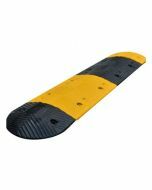 This speed hump is perfect for any type of weather conditions, this product is very resistant, will not crack or break. Can be assemble very quickly and easy and by just once person, 5 years guarantee and our low price includes hardware.